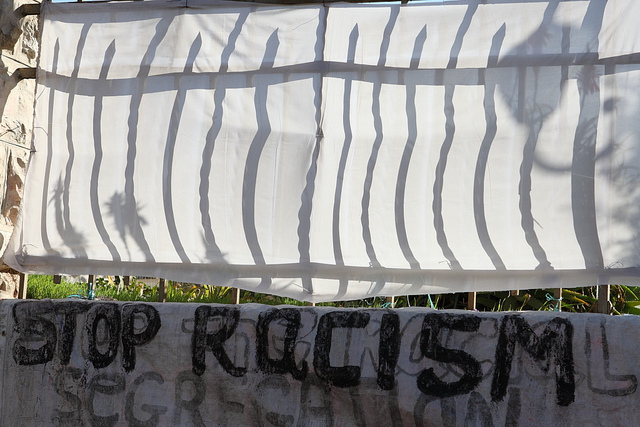 Students open up about their conflict with racism. Racism. It is among the touchiest subjects, but it is one that dictates much of our lives. It impacts small choices such as what we wear as well as much larger aspects, including college. It guides actions because no one wants to be labeled a racist and at the same time, no one wants to end up dead. Racism is not necessarily violence. Racism can be as simple as a glare. Kaelah Wasi is a Muslim, as is the rest of her family. Her mother practices her faith by covering which makes her a target for racial slurs and prejudice. Wasi’s mom’s experience is not isolated. According to Pew Research, there were 307 anti-Muslim hate crimes during 2016, which surpasses the 296 committed in 2001. From Charleston to Pittsburgh, as of late, religious centers have been the target of extreme violence. In these cases, the shooters are almost always committing racially motivated crimes. Wasi’s family has been affected by the violence, although luckily not directly. Racism is not always fear. Racism can dictate who a college will accept, based less on merit, more on skin tone; for senior Karson Knoll, and other Asian-Americans, this is the reality. Those with the goal of gaining acceptance to schools such as Harvard may be out of luck. According to NPR, Asian-American males needed a score of 1370 on the PSAT to be noticed by the school, but white males needed a score of 1310. The 60 point difference does not seem like a large gap until the numbers are looked at side by side; it means an Asian-American student needs to score in the 96th percentile while a white student only needs to score in the 92nd. “It’s a bad situation because one way it hurts one race and the other way it hurts a few other races; not considering race would make it fairer because it takes only the skills and background of applicants instead of something that implies it,” Knoll said. The current Harvard lawsuit will set a precedent that will change the college acceptance journey for high school seniors across America, regardless of race. If the court rules in favor of Students for Fair Admissions, the group who accused Harvard of racism in the admissions process, it will conflict with affirmative action, which could make it more difficult for other minorities to be taken into consideration at larger schools. If the court rules in favor of Harvard, it could continue Knoll’s issues. “Unless the lawsuit passes, I’m most likely not going to get into these schools because I’m better than the average applicant but I’m not as good as the average Asian applicant so it’s questionable if I can get in,” Knoll said. With America’s history of racism toward African-Americans, it is still common for black people to experience prejudice. Junior Brandon Taylor has witnessed this first hand. During a visit to the Polo Outlet in Foley, Taylor was accused of theft by a white woman he held the door open for. In addition to that incident, Taylor and his mother have been denied service in restaurants and hotels based on their race. “People think racism isn’t a big deal or that it’s not here and they’re wrong, racism is here and it’s going on today and will be going on tomorrow and I don’t know if we can change that,” Taylor said.